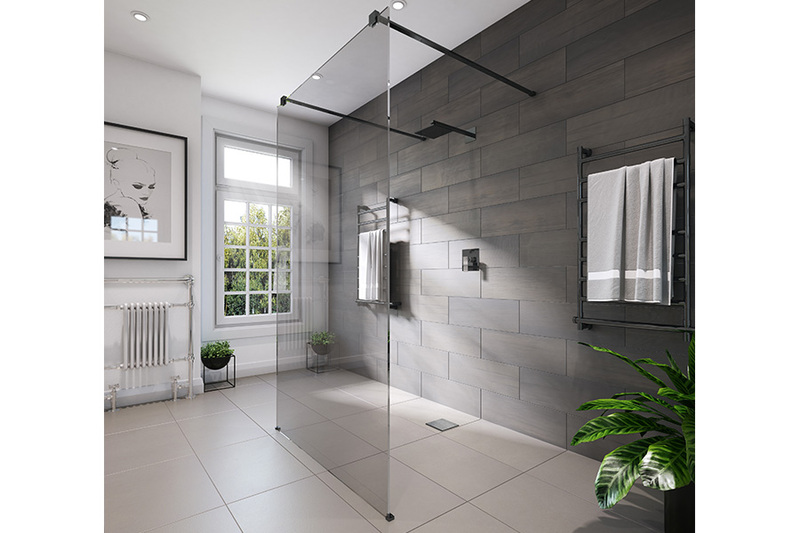 Our popular M-Series shower panel range which is available as a wall fixed option in three sizes or a freestanding panel, is now available in black. The M-Series Black features 10mm toughened black tinted, safety glass. The support braces which can be cut down to the desired size are finished in black, as well as the fixtures and fittings.